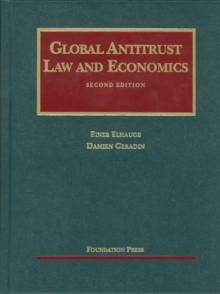 This is the second edition of the acclaimed text on global antitrust law. With markets becoming increasingly global, mergers requiring approval in several different jurisdictions, cartels in one nation affecting supply in others, and countries increasingly entering into treaties with each other about the content or enforcement of competition laws, antitrust law is now a truly global phenomenon. Modern antitrust law is also different because it now reflects an increasingly economic approach to analysing antitrust and competition policy. This innovative work is the only truly comparative and economically sophisticated casebook on the market. 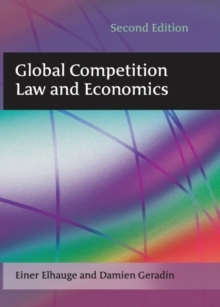 Addressed to students from all jurisdictions having competition laws, this casebook provides an in-depth analysis of the two major global antitrust regimes in the world, as well as a summary of selected national antitrust laws. As such it will also serve as a useful reference for practitioners, competition officials and policy-makers interested in competition law. In the four years since the first edition, the increased globalization of antitrust law has continued apace. China, the world's third largest economy after the EU and US, has adopted an antitrust law and other nations have modified and modernized their antitrust regimes. The EU has adopted a new EU Treaty, new EU guidelines on abuse of dominance, new EU guidelines on non-horizontal mergers, and new EU regulations and guidelines on vertical agreements. 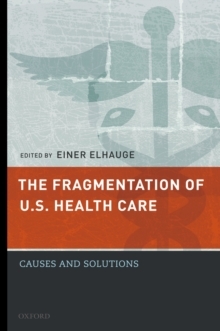 In the US there have been important new Supreme Court cases (the 2009 Linkline and 2010 American Needle decisions) and the appearance of a new economic approach in the revised 2010 U.S.
Merger Guidelines. 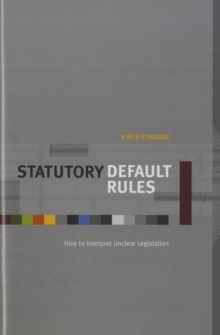 This new edition expands and updates the pioneering approach of the first edition, addressing new developments not only in the US and EU, but also in Australia, Brazil, Canada, Israel, Japan, South Africa, and South Korea, with expanded coverage of China's new antitrust law, and the antitrust laws of Argentina, Chile, Colombia, Egypt, India, Indonesia, New Zealand, Peru, Russia, Saudi Arabia, Singapore, Taiwan, Thailand, Turkey, and Venezuela. Praise for the first edition'...worthy of considerable praise...contains a vast collection of well-chosen material taking in a wide span of both antitrust and merger law issues. It is well written and clear throughout, particularly on the economic concepts, and provides incisive commentary and questions which inspire further study. 'Peter Whelan, Cambridge Law Journal'Enlightened law professors and law schools will best serve their students not by teaching national competition law but by adopting Global Competition Law and Economics...an excellent book for introductory courses in comparative competition law at either a graduate or undergraduate level. 'Okeoghene Odudu, Common Market Law Review'...the best four-and-a-half centimetres of shelf-space that I have seen devoted to competition law and policy issues for a very long time". 'Yvonne van Roy, New Zealand Law Journal 'Free from the ideologically-driven perspective that can affect other antitrust casebooks, this is also the first casebook organized from inception with an eye directly on the global context...this book may be used in a classroom in Europe just as it will be used in the U.S.